It’s been a rather eventful week for Conor McGregor. It began with a few hours in jail, and ended with him as a guest of honor for Chicago’s St. Patrick’s Day Parade. McGregor is looking to rebound from his October loss to Khabib Nurmagomedov. Following the infamous post fight brawl, McGregor was suspended six months, and fined $50,000. He was recently rumored to be preparing to fight Donald “Cowboy” Cerrone when he could return in April. However that fight fizzled out, allegedly due to the UFC wanting to make it a co-main event. Also, he recently had a back and forth with Featherweight Champion Max Holloway on Twitter. McGregor’s troubles aren’t just in the cage though, as he was arrested earlier this week. This came after destroying a fan’s phone outside a night club in Miami. McGregor will potentially be facing two felony charges, along with a lawsuit from the alleged victim. He is set to go to court in April. It would appear that the plans for McGregor could be to return in time for International Fight Week, in July. The UFC has tried to fill that card week with big fights. 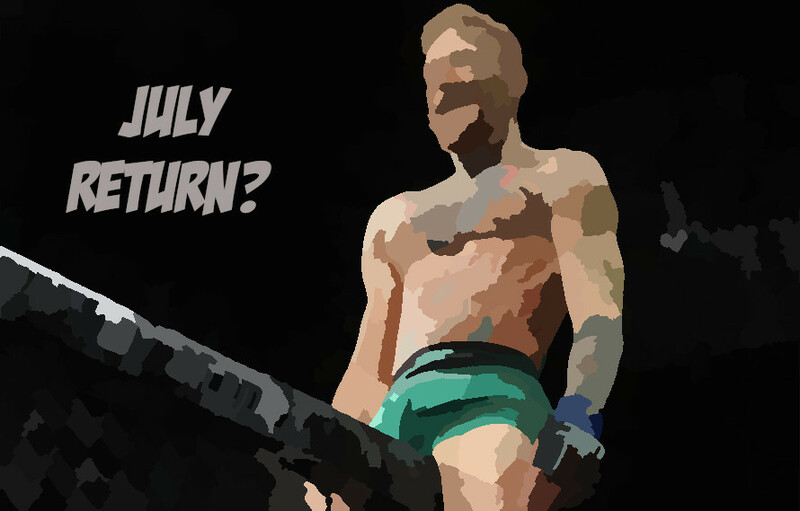 Who would you like to see McGregor face when he returns? Let us know!